Carl Middleton has researched, debated on, and cared about the rivers of Southeast Asia for almost fifteen years. He sees healthy rivers as central to the future of the region and the wellbeing of its peoples. He is currently an Assistant Professor in the Faculty of Political Science, Chulalongkorn University and Director of the Center for Social Development Studies. Dr Vanessa Lamb is currently a Lecturer in the School of Geography at the University of Melbourne. Her work and research focuses on the social and political dimensions of water with communities and local organizations. Her doctoral dissertation (York University 2014) "Ecologies of Rule and Resistance" examined the contested development of the Salween River. Rungroj Park Rojanachotikul is a filmmaker based in Bangkok, Thailand. Over the years, he has worked on many projects range from feature films, TV commercials, TV series, documentaries and short films. In more recent times, he has discovered a passion for telling stories that matter. 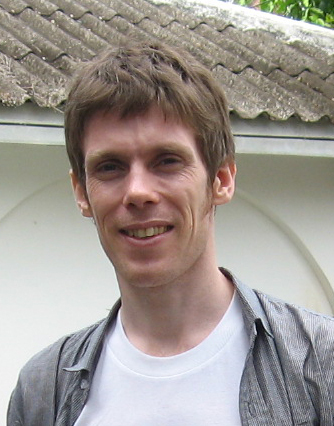 Robert (Bobby) Irven currently works as the CSDS Communications Manager and Research Assistant. In the summer of 2017 he graduated from the Chulalongkorn University Master's in International Development Studies. Robert hails from New York City, United States where he completed his undergraduate degree at Rutgers University in Chinese and Political Science. Passions include traveling, seeking justice/defending human rights and protecting the environment. Currently residing in Bangkok and lovin' it! Orapan is currently serving as a project coordinator for the Center for Social Development Studies, Chulalongkorn University. She holds a MA in International-NGO Studies from the Faculty of Social Sciences, SungkongHoe University, Seoul, Republic of Korea. Her interest and work focuses on issues related to the environment, social development, human rights and empowerment. She was an intern at the May 18 Memorial Foundation, Gwangju, South Korea in order to contribute towards development and the promotion of democracy and human rights in South Korea and more widely in Asia. This website was produced under the project “Matching policies, institutions and practices of water governance in the Salween-Thanlwin-Nu river basin: Towards inclusive, informed, and accountable water governance (MK21)” with support from Australian Aid, and the CGIAR Research Program on Water, Land and Ecosystems: Greater Mekong. We would like to thank all donors who supported this research through their contributions to the CGIAR Fund ( http://bit.ly/2zud1Jg).